Creed II is a sports drama spun around two boxing matches resulting in the death of a champion and shameful defeat of another. But the game continues with the second generation of boxers replacing their fathers. The first one wants to avenge the death of his father and the second one wants to reclaim the honor of his father. In 1985, Apollo Creed, a former heavyweight boxing champion, is defeated and killed by the Soviet boxer Ivan Drago. The same year, Ivan Drago faces a humiliating defeat at the hands of Rocky Balboa. 36 years later, Rocky is training Adonis, son of the deceased boxer for a fight with Viktor, son of Ivan Drago. The match is fixed for Christmas Day but it has different meanings for the contestants. While Adonis wants justice for his father, Ivan Drago wants to defeat Rocky with the help of his son. For him, Adonis represents Rocky. The poster features the two generations of boxers. Adonis and Victor are seen at the front and Creed and Drago are in the backdrop. The name of the movie features at the bottom. 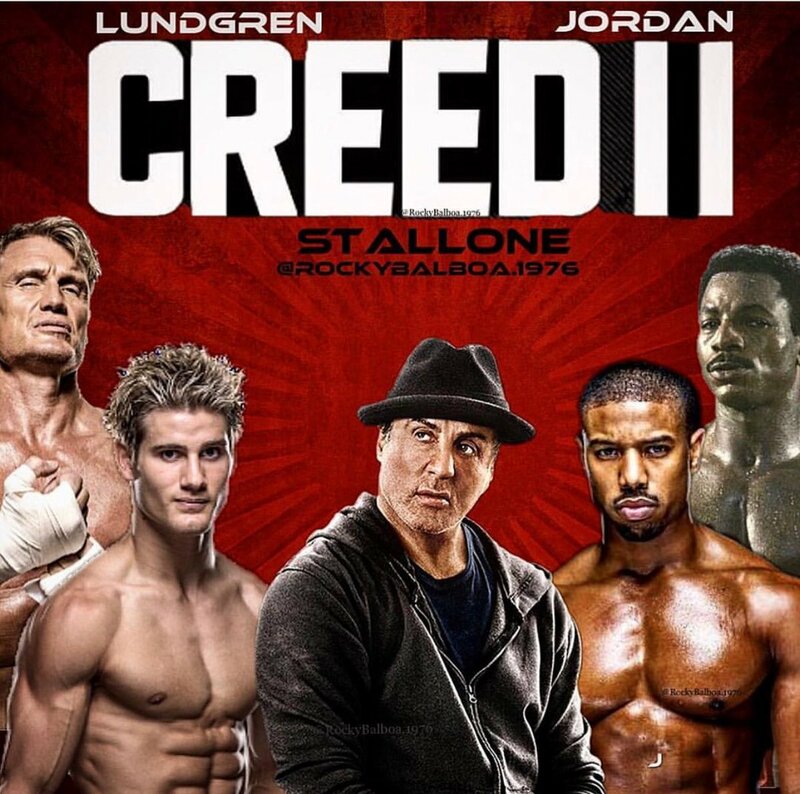 Creed II completes the story of Creed. The experiment of next line of boxers would certainly attract the audience.